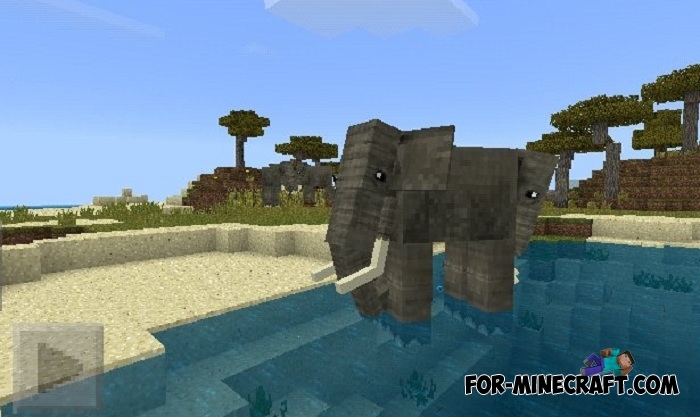 ArathNido continues to diversify the fauna in Minecraft Bedrock Edition by adding new realistic animals. This time he added elephants to the savannah and mammoths, ancient ancestors, to cold biomes. Each mob has a realistic and believable model and appearance, as well as several variations. 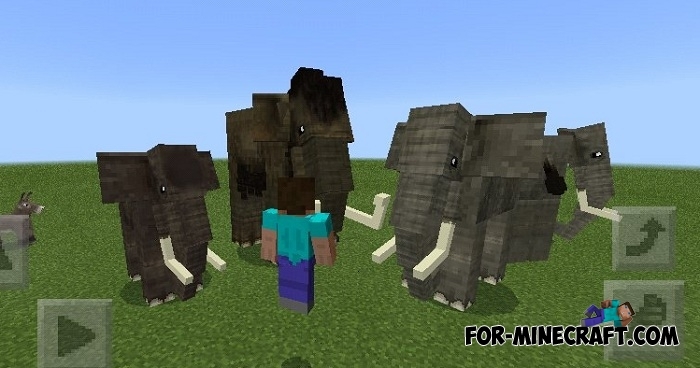 In fact, these animals were taken from his more awesome Animals Addon addon, but with some modifications. Unfortunately, this addon has a number of drawbacks and replaces vanilla mobs of Minecraft PE 1.8, which is not the case with this one. 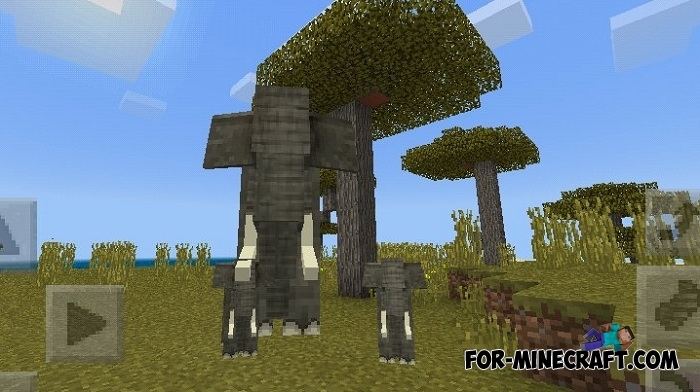 The Elephants addon does not replace anything, it honestly adds new animals in addition to the original ones without affecting other aspects of the game. Where to find and how to tame elephants and mammoths? The main food that elephants and mammoths adore is sugar. They will instantly love you if you feed them with sugar or apples and then your huge friends will protect you. In addition to the security function, elephants can transport you and serve as a regular horse. Because of their large size, elephants are formidable opponents, so it’s better not to make them angry. How to install the Elephants addon?